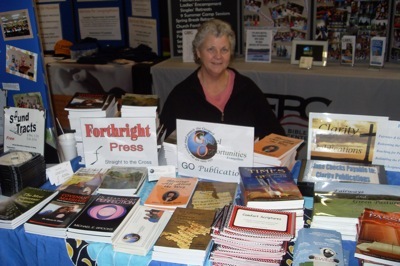 Barbara sent a mobile pic from the exhibit area at the Freed-Hardeman Lectureship in Henderson TN. More to come, she says! This entry was posted in Exhibits and tagged Exhibits, FHU, Lectureships on 2010-02-09 by J. Randal Matheny.